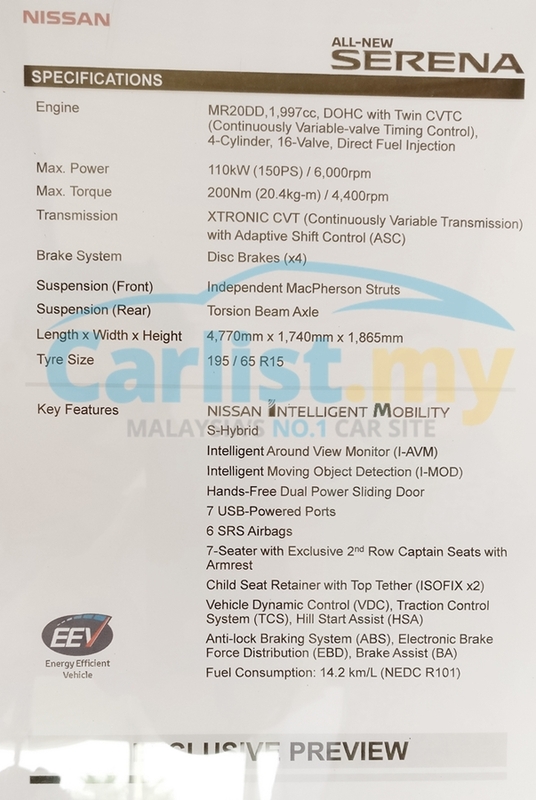 Edaran Tan Chong Motor (ETCM) has finally previewed the new generation Nissan Serena S-Hybrid at the ongoing MAI Auto Festival in Bagan Datuk, Perak. Order-taking will start soon according to representatives at the event. At the front of the new Serena, the company’s signature V Motion grille is flanked by a pair of LED headlamps in a two-tier layout. The upper light cluster houses the DRL in tube-form. Gloss black treatment on the front and rear-most pillars give a “floating roof” effect. An integrated rear spoiler at the top of the back door improves aerodynamics as well as aesthetics. While Hong Kong and Japan distributors are offering the Serena as an eight-seater, the Malaysian market will have a more exclusive seven-seater configuration (2-2-3), with the middle row being captain seats.  As it is still in its preview stage and due the nature of the event, there were no representatives from ETCM HQ to elaborate on the reason for reducing the seat count. Another item we noted that have gone the ‘reduction route’ is the wheel size. 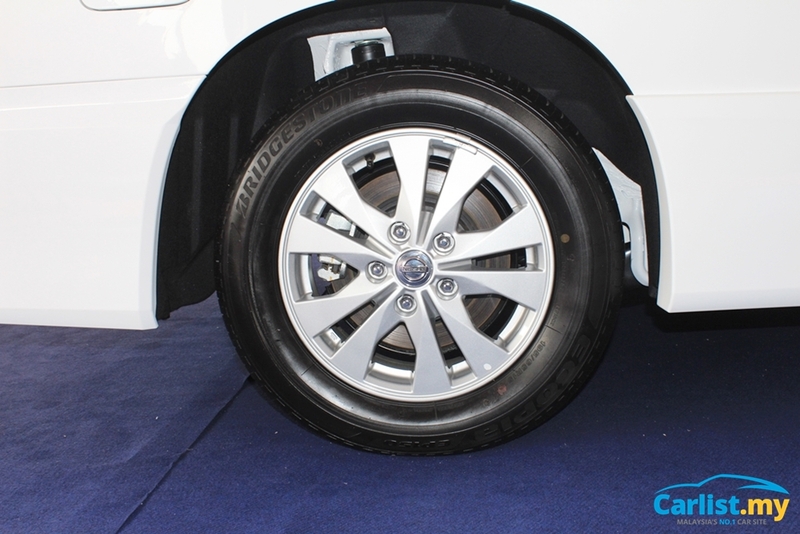 They are now 15-inch wrapped in 195/65R15 tyres, versus the outgoing model with 16-inch wheels with 195/60R16 tyres. The new Serena will be continued to be powered by the 2.0-litre MR20 engine with petrol direct injection and a ‘micro hybrid’ utilizing the alternator as a torque assist motor (up to 1.9kW of power). Engine outputs are 150 PS and 200 Nm of torque and transmitted to the front wheels via a CVT-type automatic. Nissan claims the powertrain has been improved to deliver better start-off performance and fuel consumption. 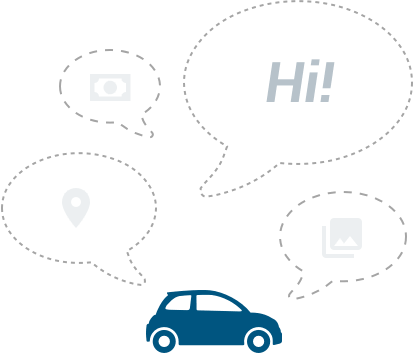 The fuel consumption is 14.2 km/L under the UNECE R101 / NEDC testing method. The new Serena also improve on a crucial item that many consumers have voiced out, airbag count. 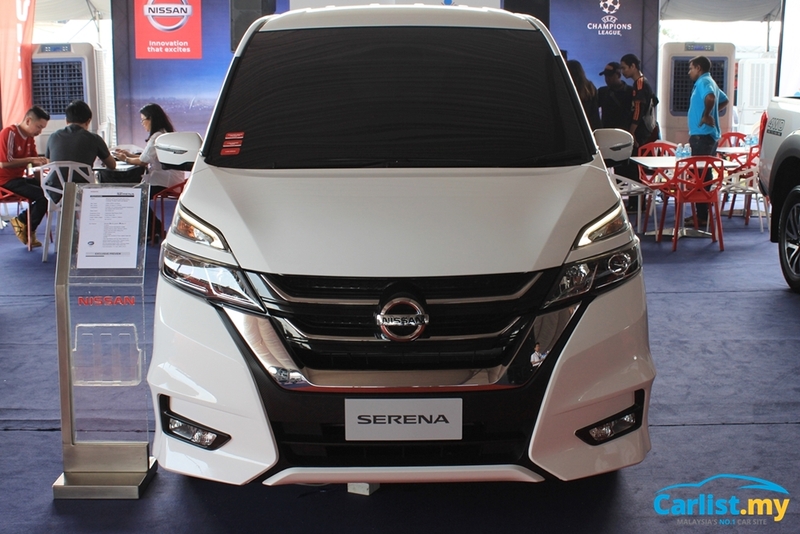 ETCM has now equipped the new Serena with 6 airbags, as well as Around View Monitor (360-degree camera system). First-in-class features include handsfree powered sliding passenger doors (foot activation) and dual-opening back door are also standard. No changes to the dimensions, maintaining the 4,770 mm length, 1,740 mm width and 1,865 mm height. We do not have access to the interior as the vehicle is locked, and the windows are heavily tinted. We however noticed that the lane camera for ProPILOT semi-autonomous driving assistance is not fitted (top edge of the front windscreen). 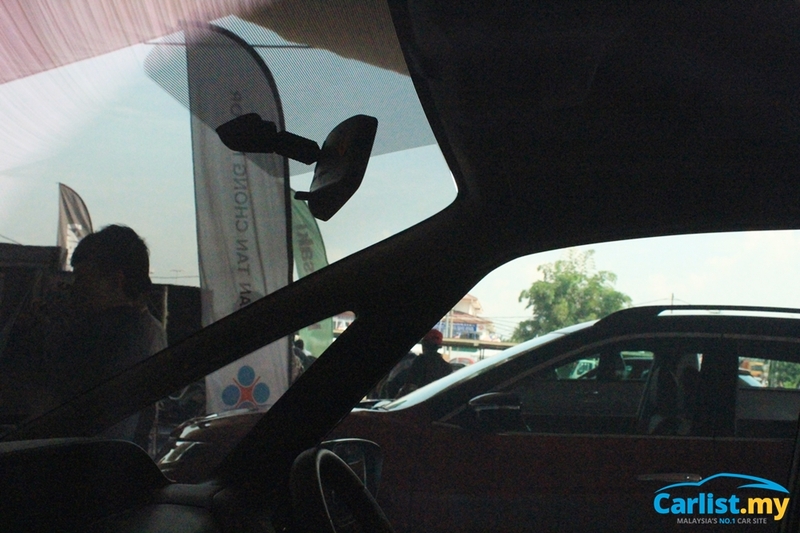 The rear view mirror itself is also of the basic specification - manual dipping, without the Smart Rear View Mirror that has a digital display for full rearward visibility. There is also no indication of the new Serena pricing at this moment, as this event is merely a preview for the new Serena. 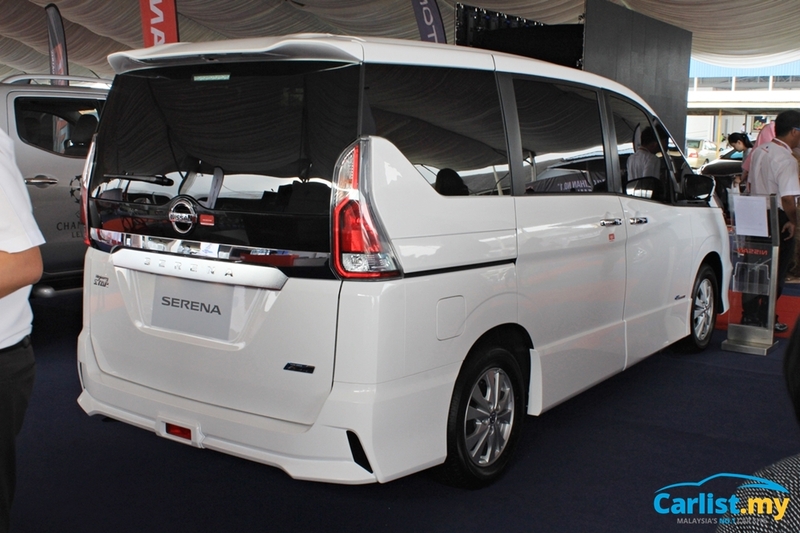 The outgoing Serena S-Hybrid is priced from RM133,000. Launched in Japan in August 2016, the Serena has spawn many variants, the latest being an electric drive series-hybrid named E-Power. The Japan market Serena also debuted the ‘ProPILOT Assist’, Nissan’s single-lane driving assistance technology which is found to be not fitted in the preview vehicle here.